“Blessed are those who have not seen and yet believed”: Is Jesus opposed to apologetics? This passage of Scripture is often appealed to by those who see Christian apologetics as irrelevant to evangelism, or even contrary to Scripture. On its face, it does seem to present an anti-evidence, anti-rational approach to the Christian faith: Jesus appears to berate Thomas for requiring evidence of His resurrection while pronouncing a blessing on those who believe without the need for evidence. A closer examination of the passage in its context, however, reveals this reading of the text to be mistaken. The first thing we should keep in mind is that all of the apostles were similarly situated to Thomas. 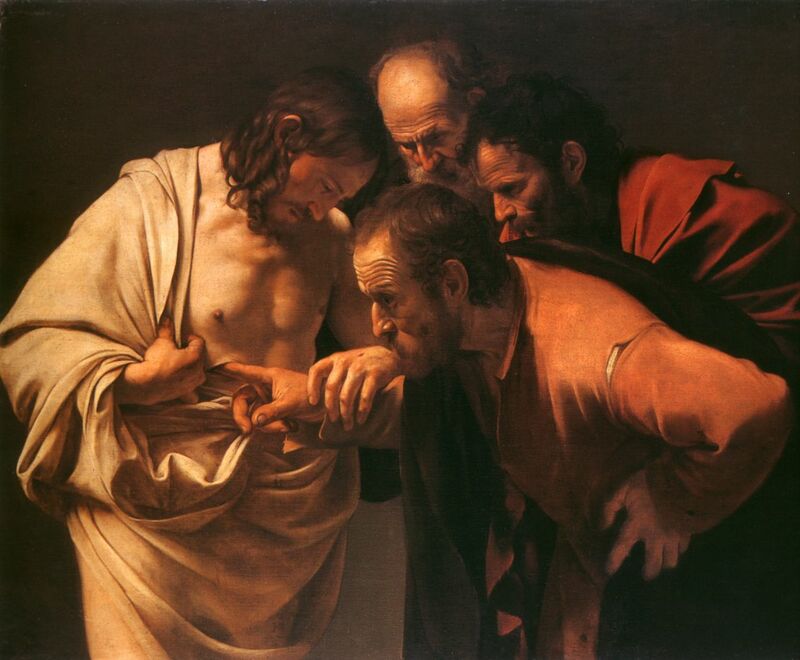 Like Thomas, they also doubted others’ who testified that they saw Jesus alive from the dead (Mk 16:10-14; Lk 24:8-11). And like Thomas, they did not come to believe in the resurrection of Jesus until they personally saw Jesus in the flesh. If Jesus was condemning Thomas’ need for evidence, such condemnation also applied to the other apostles. If Jesus’ closest associates—those who walked with Him for over three years—needed evidence, how much more those of us who have never met Him in the flesh living 2000 years after these events? The second thing to note is that Thomas did not require just any kind of evidence for Jesus’ resurrection, but empirical evidence. He would not accept the testimony of the women, the other apostles, or the two disciples’ who talked with Jesus on the road to Emmaus. While one might understand how the other apostles originally doubted the resurrection of Jesus based on the single testimony of a handful of women, something more is to be said of the testimony of approximately 20 individuals that you are well acquainted with who report no less than three separate appearances of Jesus. Even with this abundance of testimonial evidence, Thomas would not believe. He wanted empirical evidence. Note carefully what Jesus did not say to Thomas. He did not say, “Blessed are those who believe apart from evidence,” but rather “Blessed are those who have not seen and yet have believed.” Those who believe in Jesus’ resurrection apart from seeing Him in the flesh will be blessed. The last time I checked, no Christian apologist presents empirical evidence for Jesus’ resurrection! We provide reasons to trust the testimony of the Evangelists; we do not make Jesus appear before people’s very eyes! As such, those who become convinced that Jesus rose again by being provided with good reasons to trust the testimony of the Evangelists are truly blessed as Jesus said. John makes it clear that he was not opposed to providing people with reasons to believe in Jesus. He included the miracle stories in his gospel precisely for the purpose of (“so that”) helping people come to faith in Jesus. They were signs that Jesus was who He said He was, and John expected that these signs would be an aid to his readers’ faith. John provided the testimony of those who experienced these events first-hand so that those who were not privileged to experience them first-hand could come to faith just as those who had empirical knowledge of the events. While not everyone would have the luxury of seeing what Thomas saw, all could still believe what Thomas believed. While Jesus made it clear that empirical evidence is not necessary to believe in His resurrection, that is a far cry from declaring no evidence necessary. Our evidence is the testimony of those who had empirical evidence of the resurrection. Christian apologetics is concerned with providing people with good reasons to trust that those testimonies are veridical and reliable so that they can come to the same conclusion the apostles did, without experiencing what they experienced. With the exception of the beloved disciple (Jn 20:1-9). While the evidences John offered were not rational evidences, they were evidences nonetheless. It would be rather ironic for John to promote belief in Jesus through evidences, and tell us he is doing so right on the heels of Jesus’ statement to Thomas, if John understood Jesus’ statement to mean that evidences have no place in evangelism and the formation of faith. While empirical evidence of Christ is not offered by apologeticists, I would consider the “cosmological argument” observation of evidence that rationally supports the existence of God. While I don’t think Jesus was against apologetics, do you think that this verse means that apologetics is not an ordained tool for bringing the KOG? That it is not useful for spreading the gospel toward the salvation of the lost? I don’t know, but the Luke scripture always made me wonder about it more than the doubting Thomas reference. I understand the point of Luke 17 to be that the kingdom of God is going to be a spiritual reality rather than a physical reality. The Jews were expecting the Messiah to renew the kingdom of David. This passage doesn’t speak to the issue of evidence, or how people come to enter the kingdom, but rather the nature of the kingdom. The cosmological argument (particularly the kalam version) is my favorite. The argument is based on empirical facts, but the conclusion is not an empirical conclusion, but an implication of the empirical facts. Knowledge of motion or of the beginning of the universe imply the existence of God, but this evidence for God’s existence is not empirical in the same sense that seeing Jesus in the flesh or seeing God appear to you is empirical evidence. In the latter case, we don’t need to engage in inferential or abductive reasoning to conclude that Jesus is alive. We know it because we see it. The same cannot be said of the universe. We see it, but we cannot immediately conclude from seeing it that God must exist. It requires intellectual reflection to see the implications of the empirical data. No, I don’t think Jesus’ point was that apologetics is not an ordained evangelistic tool. His point was merely that it shouldn’t have to take seeing Jesus alive in the flesh to convince someone of His resurrection. That doesn’t mean no evidence is necessary. It just means that that kind of evidence should not be necessary. And we can see this in the way that the resurrection was defended. For example, Paul appealed to eyewitnesses in 1 Cor 15. In essence he was saying, “Don’t believe me? Ask all of these people who personally saw Him.” They didn’t just proclaim the resurrection; they defended it. We can get a glimpse into the way they defended it by the way it was defended in the Gospels. I think anyone who says that apologetics is not needed is either too centric on the emotional (but necessary) side of Christianity, or has not taken the time to study it themselves. Hi. I would like to use some of your info as a quote in my new book. I don’t think you need my permission as long as you cite your source, but if you need it, I give it. What is your book about? What exactly do you mean “That’s true.”? After 6 years post Post. And almost 3 years since the last post was posted on the post Post. Lol.